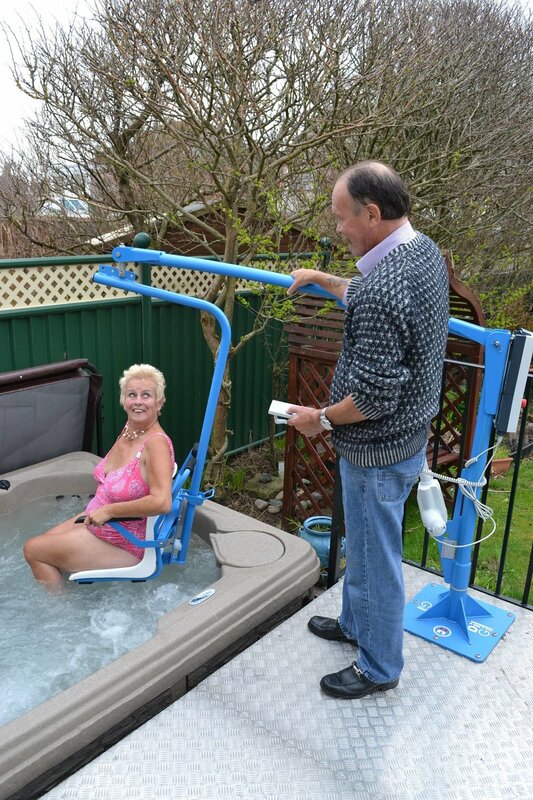 Dolphin Mobility have several solutions for people needing help to access their hot tub. The health benefits of hot tubs are well known, but many people who could benefit most from a hot tub can't safely get into one. This is where Dolphin comes in. We have a range of devices to help you access and exit your spa in complete safety and comfort. The Handi-Move Wall lift is our most popular hoist for lifting people into and out of a hot tub. We have installed these all over the UK helping our customers to gain access to much needed hydrotherapy at home. The wall lift can be mains powered, with a transformer included to make it safe to use with water, or battery powered. Not only that but with the addition of added wall brackets the wall lift can be taken down and used in other parts of the house. It can be used to access a bath, bed or even a stairlift. For in-ground hot tubs there are a number of potential options for pool lifts to be installed. These are more expensive than the wall lifts but sometimes there is no alternative but to install a conventional pool lift. We have found the pictured Digi pool lift to be a good solution due to its impressive reach. 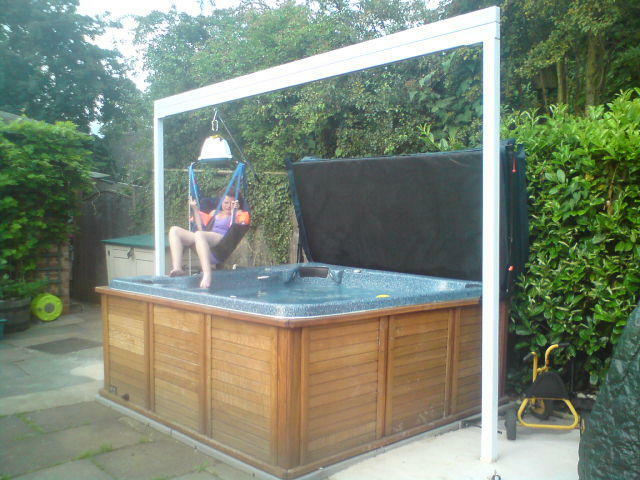 Occasionally it is necessary for customised or bespoke lifting solution to help people enter their hot tub. This could be a gantry hoist, floor mounted hoist or an adapted pool lift.